Established in 2010, LIKHANG BATA started as an independent summer art workshop curriculum organized by Art Teacher and homeschooling mother, Teacher Dindi Besinga-Manlapaz. 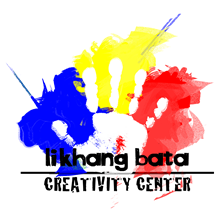 Likhang Bata eventually evolved into a Creativity Center that provides year-round art appreciation curriculum for toddlers to pre-teens. At present, we also organize Art events with various family-oriented business establishments and educational institutions and coordinate charity oriented projects dedicated to Visual Arts. Studied for 4 years and formed in 2010, the ultimate PURPOSE of Likhang Bata's MEET THE ART MASTERS is to promote creative development and to inspire artistic learning, through ART STUDIES and CREATIVITY WORKSHOPS. With this mission, we empower creative minds to contribute to our nation, one child at a time.